Ashley Brickley organizes Celebrate Ability Week (Oct. 1–5) for the Disability Center. Ashley Brickley has been advocating for students with disabilities even while she was a student herself. She was still in high school when she attended an Iowa Youth Leadership Forum and got to meet delegates who were similar to her — a student with a disability. “That forum inspired me to be a stronger advocate and also helped develop my own identity as someone who wanted to help others,” Brickley says. Brickley’s advocacy efforts were bolstered when she won a statewide contest. “I was Ms. Wheelchair Iowa 2008, and as part of my platform I wanted to bring more public awareness that students with disabilities can go to college and that accommodations are available so they can have equal access to the college experience,” she says. Brickley won Ms. Wheelchair Iowa while working as a program associate in the University of Northern Iowa’s Student Disabilities Services office. In 2010, she was promoted to the office’s coordinator, and she earned her master’s degree in post-secondary education student affairs from Northern Iowa in 2013. Brickley’s path to MU started when she happened upon an advertisement for the assistant director position with Mizzou’s Disability Center. “I wasn’t actively looking for a new job, but when I saw the job description and duties, everything felt right to apply,” she says. Brickley liked that she would have the opportunity to help professional, graduate and undergraduate students and be able to stay in the Midwest. She started at Mizzou in January 2016. The Disability Center plays an important role in ensuring all students at Mizzou have an equal opportunity to succeed. Last year, the center assisted more than 1,400 eligible students, including arranging exam accommodations and note-taking assistance, providing books in alternative formats, and addresseing students’ dining and housing needs. As assistant director, Brickley supervises three professional staff members and works directly with students to develop individual accommodation plans to provide equal access at Mizzou both inside and outside the classroom. 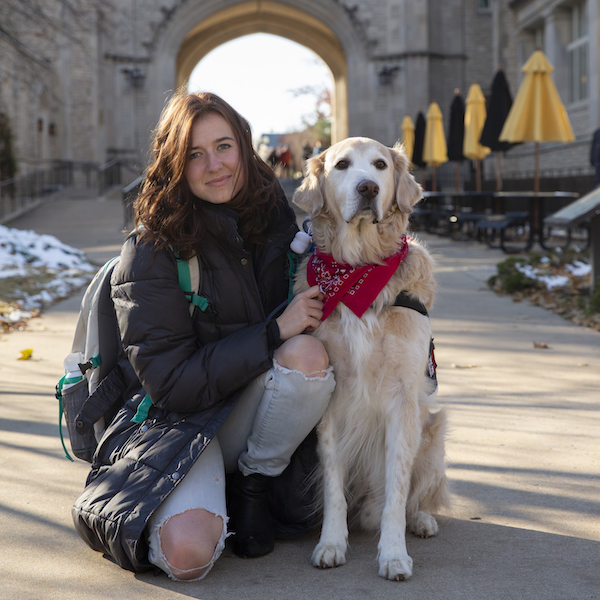 She works specifically with the schools of veterinary medicine, nursing, and medicine to help students with disabilities get the support they need for their classwork. She also leads the outreach efforts for the center, which includes the annual Celebrate Ability Week. This week-long event raises awareness for people with disabilities and highlights their contributions to the Mizzou community and beyond. This year’s Celebrate Ability Week will be held the week of Oct. 1.